A fast and easy way to add banner style templates to your design. This includes grommets and their position markers, as well as fold or cut lines, Many options and extra features too! 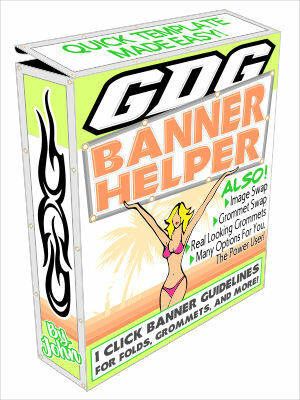 Includes CDR grommet files; make your banner presentations look realistic. This is the CorelDraw 2019 version. See pictures and movies below for more info.